Are you determined to have a destination wedding? Maybe you’ve already found the perfect bridesmaid dresses on trend with today’s fashion, but before you can get your bridesmaids together to try them on, you have to figure out who’s going to show up to your out of town ceremony. Or maybe you’re one of a number of brides looking for alternative wedding registry ideas, and you’ve decided to have the perfect wedding in an exotic location of your choice. No matter what situation you happen to be in, having a destination wedding requires planning, preparation, and organization. 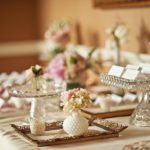 So, whether you decide to choose the best wedding destinations in the US or you go for broke and have a destination wedding in an exotic locale, just know that the tips we’re about to share will help you plan this special event so it goes off without a hitch. A destination wedding is understandably going to be expensive for the bride and groom. But you have to remember that it’s also going to be costly for your potential guests as well. So when you plan everything, keep the fact that this trip can be very pricey in mind when choosing a hotel for your guests. As an example, you’d like to find a hotel that is reasonably affordable for your guests. Usually this hotel is going to be about 10 or 15 minutes away from the hotel you stay in, because the further away from the action, the cheaper the hotel usually is. On the other hand, some of your guests might not have trouble affording the more expensive hotel options. So give your guests choices about the hotels that they may wish to choose. Some of the guests on a budget can choose to stay in the hotel further away from your venue, while others can choose to stay in a closer, more expensive hotel room. Evidently one of the biggest overall themes of a destination wedding is that it’s going to be expensive in many instances. So when you choose your vendors, you should obviously do so with a specific budget in mind. Otherwise you could end up paying top dollar for every one of your vendors which could certainly cause your costs to spiral out of control. Take a moment before picking your vendors to set up a budget. First, you’ll have to figure out which vendors you need like florists, DJs, etc. Then you should determine a budget for how much you’re willing to pay. Once you meet with them, you could tell them your budget and negotiate based on the amount of money that you are willing to spend. By approaching your vendors this way, you’ll get exactly what you need for a price you can afford without going over budget or spending too much. It shouldn’t surprise anyone to learn that your wedding dress should fit the location. As an example, if you plan on getting married in a hot and humid location like a Mexico, you’ll want a lightweight wedding dress that isn’t going to be too thick or sweaty. On the other hand, if you’re having an elegant wedding in France, it seems like a ball gown with all of the embellishments would be the best fit. As you can see, planning a destination wedding is going to take serious effort on your part. But if you incorporate the tips we’ve shared today, you’ll be well on your way to having the ideal wedding at an amazing destination of your choosing.